As I write, Ed and I are coming to the end of our week here in Israel. There is so much one could share. It has been a great experience, with many memories made – especially getting to know the Kakish family better. 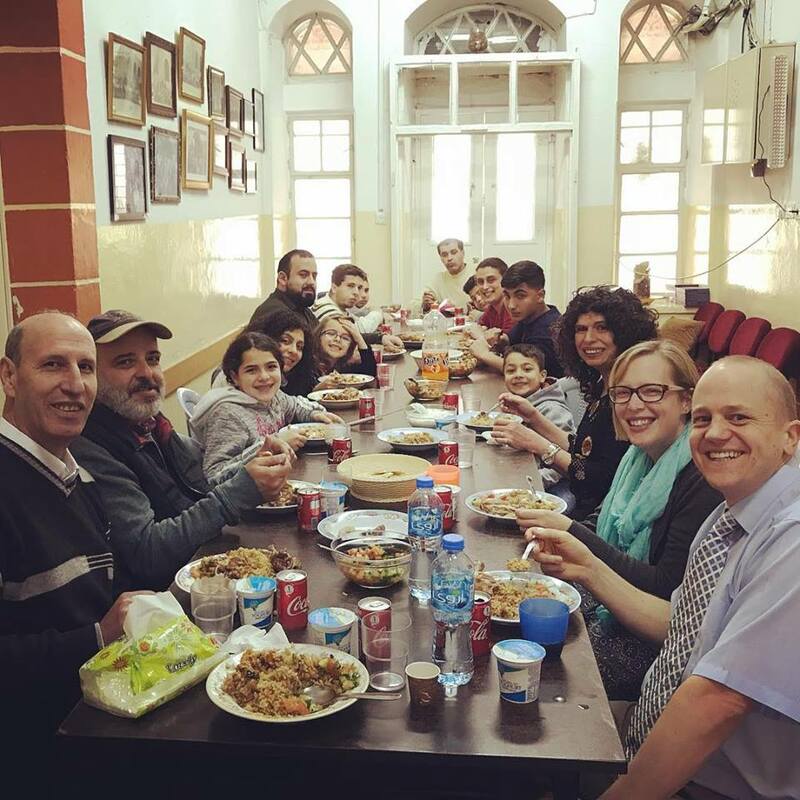 Please continue to pray for Pastor Munir and Sharon, Michael, Jackie, Lily and Carmen and the work of RCO Ministries. The hospitality here in this region is amazing. We in the UK can learn so much from the generosity, warmth and care shown in other parts of the world. Something that struck me time and again as we have travelled around this region is the sharp contrast between so many things: towns and countryside; Jews and Muslims; Israel and Palestine. Bright blue water and dusty arid land; rich and poor; malls and markets. The Ramallah Church and the Home of New Life are situated in this context of contrast and extremes. They seek to share the gospel message and the transforming power of Jesus. They are bringing light to the darkness and freedom to the captives. Isaiah 43:19 says, ‘I am making a way in the wilderness, streams in the wasteland’. The message Jesus brings is one of contrast. This message makes a way through impassable terrain and makes way for streams in a dry wasteland. The beautiful gospel of Jesus is the way of new life, bringing hope and contrast in its wake. Whatever contrasting season you may be experiencing may you know that our amazing, awe-inspiring God is with you. ‘How precious to me are your thoughts, God! How vast is the sum of them!